We hope you’ll feel comfortable and assured, knowing Spectrum O & P uses the highest quality devices and customizes their products to give you the best fit possible! Providing Prosthetic and Orthotic services to Yuba City and Sutter counties since 2013. Sanjay has been Board certified in Orthotics and Prosthetics (BOCPO) for over 11 years and has been practicing Prosthetics and Orthotics for almost 18 years. He completed his Bachelors in Prosthetics and Orthotics from University of Mumbai, India where he grew up. After working in India for few years he moved to Los Angeles, CA in 2006. He completed his certification in 2007 while working for a big company in Los Angeles. He joined Spectrum in 2013 as a Clinical Manager managing Chico, Yuba City and Oroville Clinics. Some of Sanjay’s specialties within the field include microprocessor knees, vacuum systems for lower limb prosthesis, and upper limb prosthesis including mechanical as well as myo-electric hands. He strongly believes in improving quality of life of the patients he works with and serving the local community. In his free time, Sanjay enjoys spending time with his family, cooking, playing golf, and watching cricket. He also likes to work with his hands and work on things around the house. 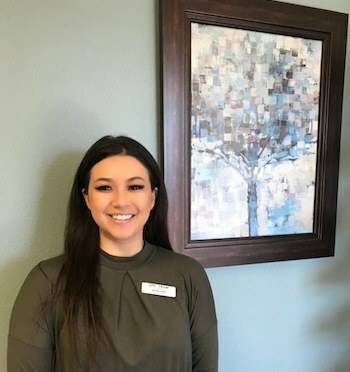 Tina Thornton recently joined the Spectrum team offering her services in the Yuba City office. Tina brings with her 15 years’ experience as a Board Certified Pedorthist, Mastectomy fitter and Orthotic Fitter. Tina takes pride in her work and will use all her education and experience to give the best patient care possible. She also offers on call services to Rideout Hospital in Marysville. Jenifer Villa is our Patient Care Coordinator at Spectrum Orthotics and Prosthetics. Jenifer believes that our Goal is to provide the best customer service experience. As a Administrative Assistant she is focused on driving productivity by leveraging strong front office management skills. Receptionist who answers a high volume of incoming calls while handling in- person inquires. She's flexible and hardworking with the drive to succeed.